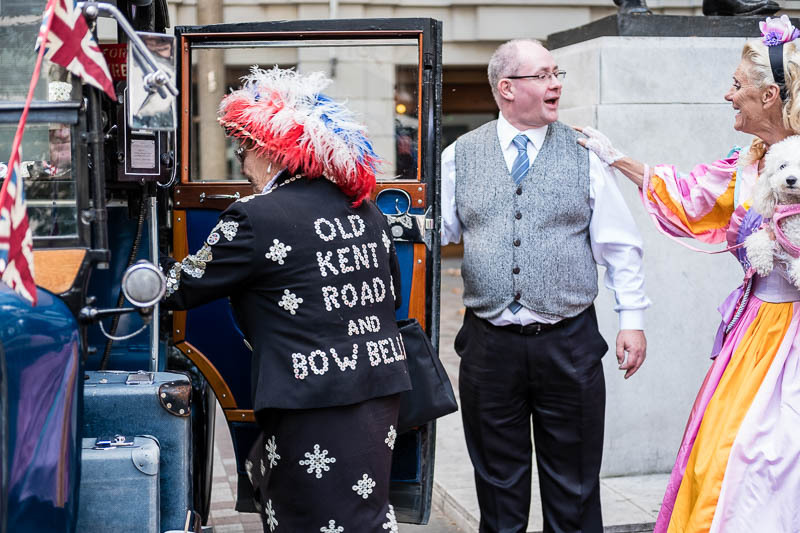 Cherry good-byes at the end of the Pearly Kings and Queens harvest festival. Colourful and cheery enough to bring a smile to even the most unsmiling. A cheerful bunch, they look outstanding in their colourful clothes. The expressions on those faces is perfect.